In Ottoman Age, this historic construction was used by cavalrymen because there were found many various materials for them. 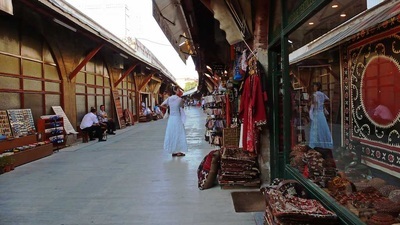 Therefore popularly known as Sipahiler (Cavalrymen) Bazaar in that period, market consists of approximately 70 series of shops placed on Torun Street. 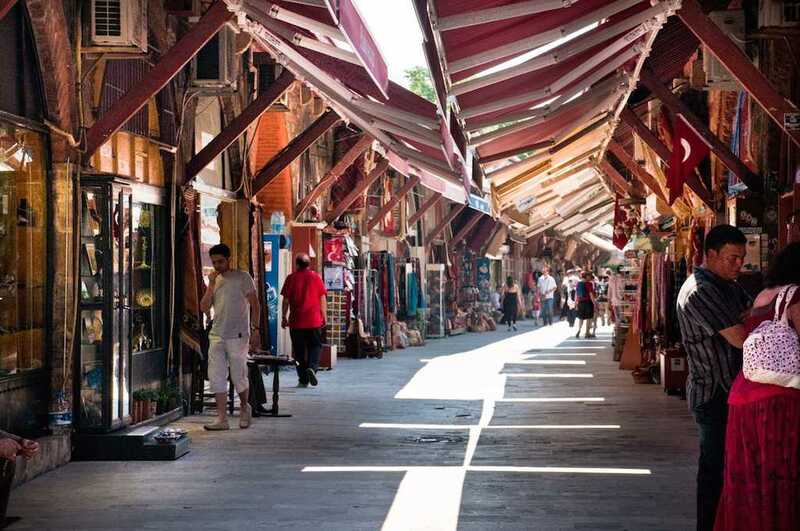 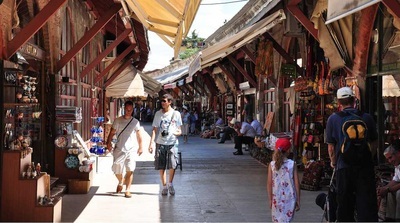 Although it is smaller than the magnificent Grand Bazaar, this relatively calmy and pretty market contains many kinds of productions attracting people in its shops such as eyeful jewellery, carpets, souvenirs, ceramics, Turkish tiles, apparel and more today. 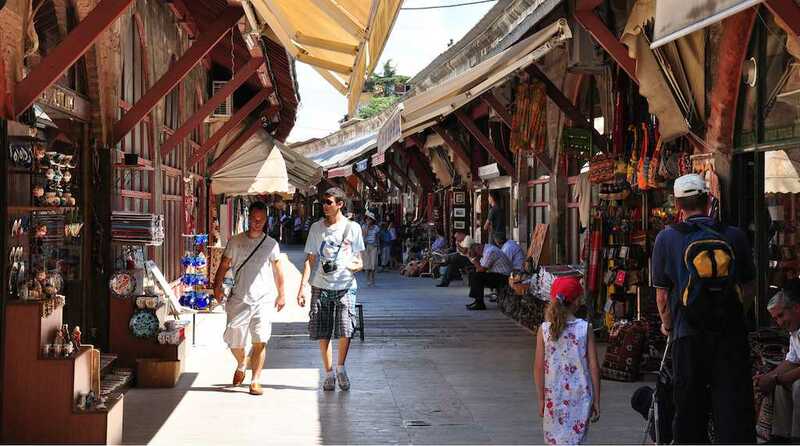 In the last time of Ottoman, the market burned in a fire, because of that it was demolished. But that breath taking building was rebuilt and reopened by General Directorate for Foundations in 1981. 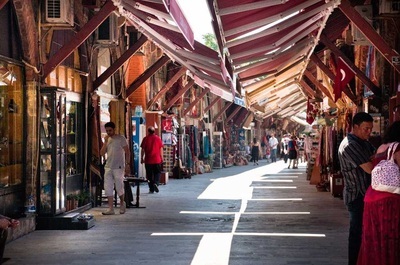 When you come here, you can visit the Great Palace Mosaics Museum which exhibits a collection of mosaics excavated from the site of the Byzantine Great Palace of Constantinople. 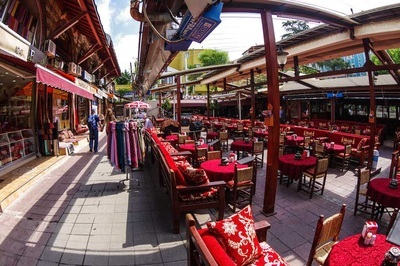 Additionally, in order to have good time when visiting the Arasta Bazaar , both locals and tourists should go around the tea garden (which also serves as a restaurant) to eat, drink endless cups of çay (tea) or smoke nargile while watching the free nightly Whirling Dervishes Show. Thanks to its wide dreamy and relaxed atmosphere, Arasta Bazaar is a good low-key shopping alternative for conventional merchandise in the Sultanahmet area. 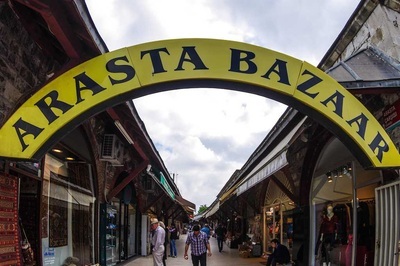 Except for those features of Arasta Bazaar, it is also famous for the visits of Hollywood artists, politicians and more such as great star Shakira, Megan Fox, famed Ellen Lee Degeneres (a present of prominent Ellen Degeneres Show) and former US President Bill Clinton. 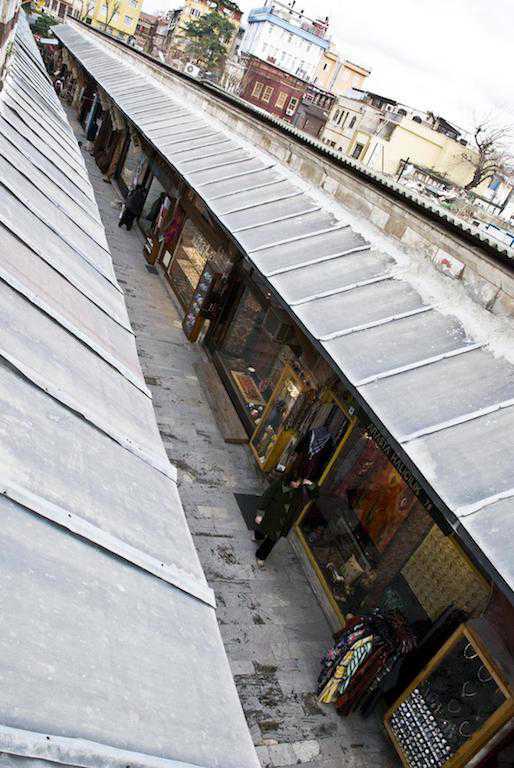 There are placed the roofs on the every shop with tall and thick rafters in order to reflect Ottoman Style.